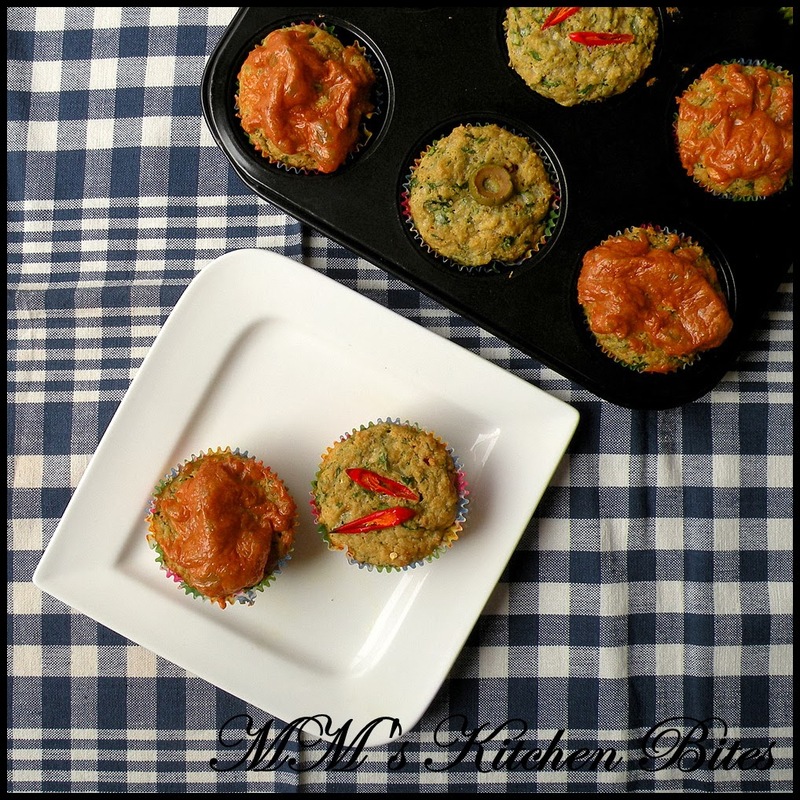 MM's Kitchen Bites: Spiced up Whole Wheat Spinach and Cheddar Muffins… at times I go ‘healthy’…but with cheese!! Spiced up Whole wheat Spinach and Cheddar Muffins…this recipe has been doing the rounds for forever now…right? Found the original recipe to be too bland for our taste…made a couple of changes to spice it up, switched to whole wheat flour…and Voila!! Love it now…and the texture too…unlike the other whole wheat flour stuff, these are not too dense and heavy…try them!! Sieve the flour, salt, baking soda and baking powder. Lightly whisk the egg. Melt the butter. Stir the egg, butter, milk, spinach, onion, cheese and all the spices together in a mixing bowl until evenly blended. Stir in the dry ingredients and fold with a few quick strokes. Do not over-mix. 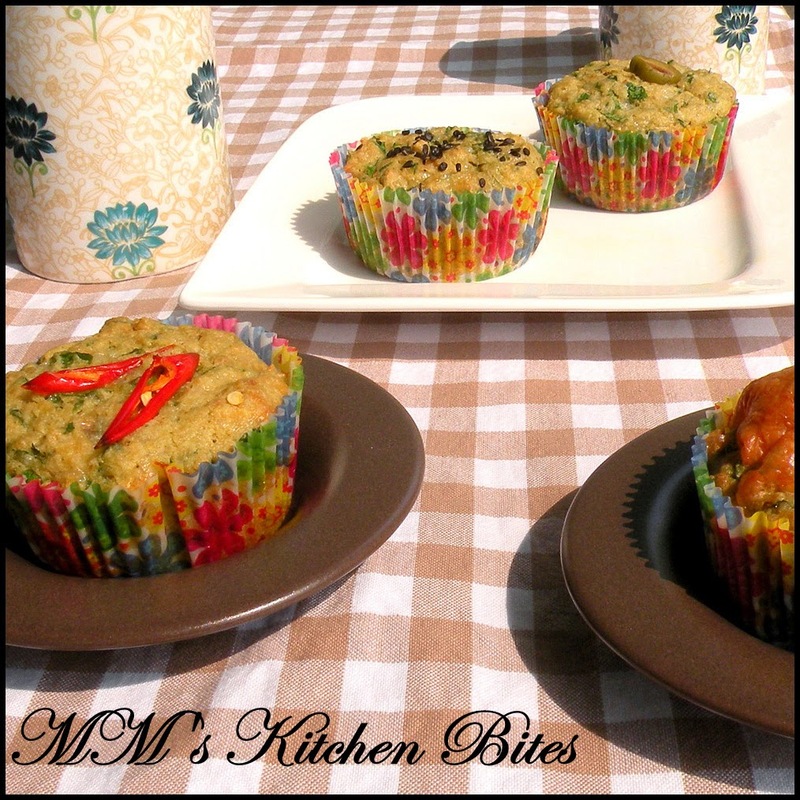 Divide the mixture into your muffin cases, sprinkle with toppings of your choice. Bake in a preheated for 25-30 minutes till golden brown and puffed. These freeze quite as well. Just pop them in the microwave for a few seconds after. Love the muffins ! Cute and flavorful !